It’s interesting to see where writers write from. 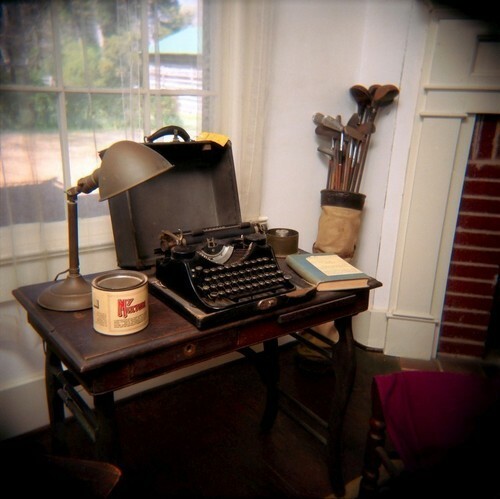 Faulkner had a simple setup on a small desk with his typewriter, tobacco and a window to gaze out of. It’s hard to believe such a tiny desk was responsible for so many great works. I guess it comes down to finding a place where the writer feels physically at ease while their mind travels great lengths. 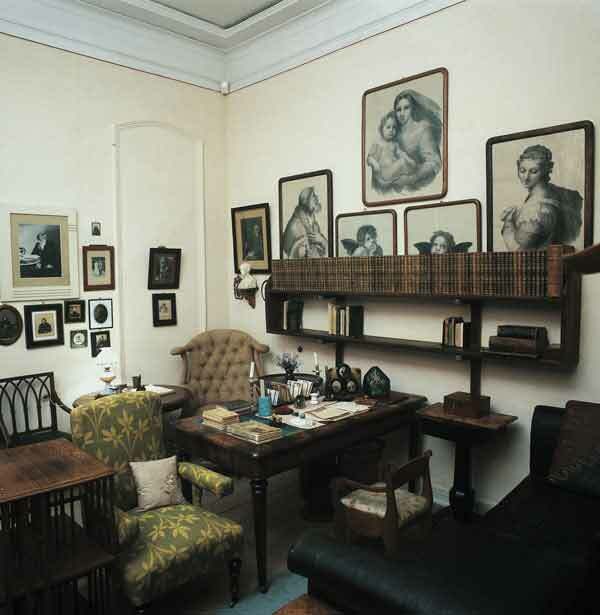 Tolstoy had a similar size desk but had quite a bit of clutter in his study. I would have a hard time concentrating in here. It feels a bit claustrophobic. Maybe he felt he was surrounded by everything he loved all packed into one little room. 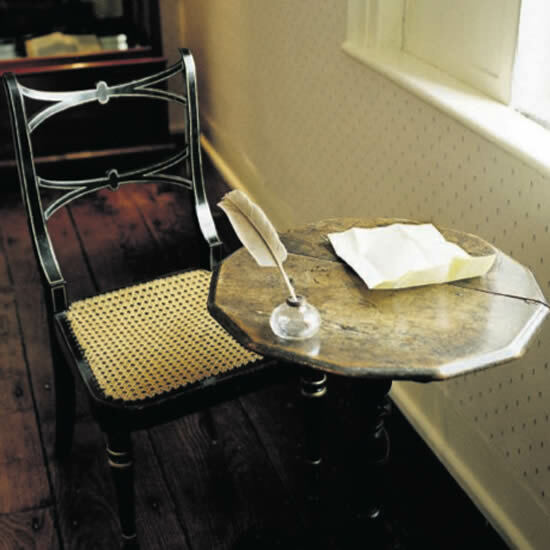 Jane Austen had the most Spartan setup of the bunch. I imagine you’d want to have a good idea of what you wanted to write before you sat down in that chair; I wouldn’t call her setup comfortable. Maybe for her, being from such a large family, it was just a luxury to have her very own spot to write. I’m not setting out to write a book in the same league as these writers, but I’d still love a place to write. So far I’ve just written from wherever I happen to be whether it’s the couch, the kitchen table, a local cafe or sometimes like Marcel Proust, in bed. I’ve never had a proper writing desk before, so this week I’ve been on a quest to find one. I would say the desk found me. The first desk I sort of liked was a no-go because the store owner flatly, rudely and definitively refused to sell it (even though it had a price tag on it). It turned out to be divine intervention because the next place I went to I found my desk. I hadn’t planned to go there but my husband wanted to look at a Hans Wegner chair so we made the trip. It may sound strange to have such a strong reaction to a desk, but it sucked me in like a vortex the second I laid eyes on it. It was more perfect than I could have imagined. 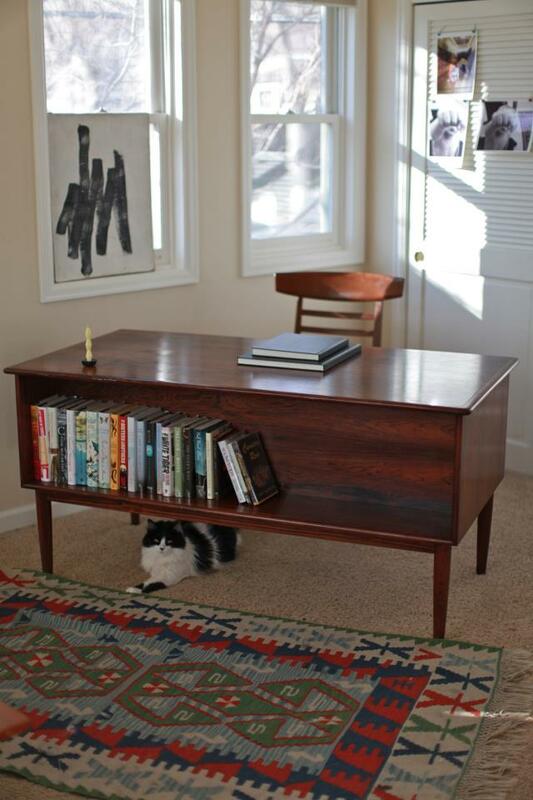 It’s a beautiful mid-century modern Danish desk made from rosewood with a bookshelf built into the front of the desk. We bought it from our new favorite store in Denver called Zeitgeist, home to a gorgeous array of modern furniture and art. Not only did we find the perfect desk, but I totally dig that the desk has been Randy’s own desk for the last 10 years. Randy is just a cool guy. You’ll get no disinterested Design Within Reach demeanor from him. He loves Modernism and wants any and everybody to have the chance to love it too. I knew I wanted a desk that had a little history to it. Randy built his business from that desk, a business he’s been lovingly been in for 38 years. He was willing to part with it because he recently acquired a desk he’s been trying to get his hands on for 20 years. 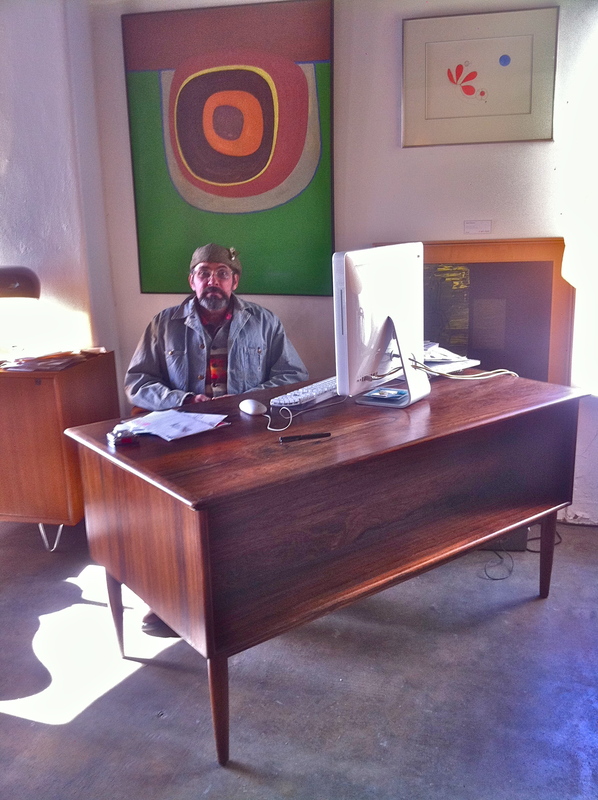 Before Randy, the desk was owned by a Danish architect who lived in Boulder. Apparently he had come to work in Boulder and fell in love with a woman who lived there, eventually moving there for good. Now the desk is making its way back to Boulder. I hope to continue to be an interesting part of its history. One thing is for sure. It’s a place that inspires me to sit and write from. It’s the last week of a tremendous year. It may seem like I’ve already crossed writing off the list through my blog this year, but for my last week I want to explore writing a book. I have 3 sisters and as a kid my grandmother always wanted one of us to become a nurse and one of us to become a writer. I’m no good with blood, so that leaves writing. I don’t know that I could ever go so far as to call myself a writer but I like the idea of writing a book. Writing has always been one of those things lingering in the back of my mind that I’ve sedated over the years through lots of reading. I believe writing isn’t necessarily something you set out to do but can be something you accidentally bump into at some point in life. It then sticks to you like tar and you can’t shake it off. Imagining that you not only have something to say but that you can also sit down and write it all out coherently is daunting to say the least. After this year and what I’ve experienced, I have something to say which is a start. Writing the blog has also been a good warm-up to creating a discipline of writing. I know I can make myself sit and write even in those moments I don’t feel like it. The hurdle will be releasing the story that wants to be told. 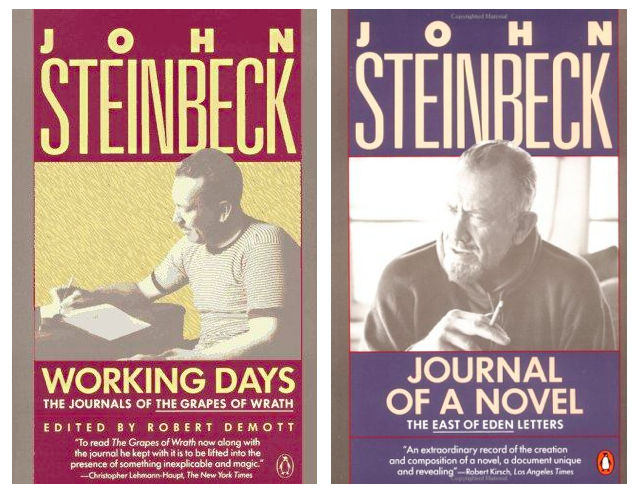 I think a good place to start the exploration this week is to look at what many of the great writers have said about writing. Maybe one of them will have words I can use to help guide me along the way. Not surprising encapsulations from these two. My writing will not be venturing into the same territory as theirs, so I think it’s ok for me to have a little less intense of an ambition than that. I need to find a less bloody analogy to pouring myself into my writing. It’s always reassuring to know that even great writers struggle with writing. It will be good to keep in mind when I hit a wall of frustration. If I don’t hit a wall of frustration then I need to push harder until I do. I like the sentiment of being better at re-writing than writing which I will adopt. It removes some of the anxiety of staring down a blank page. These thoughts better represent why I’d like to write a book. How often in your life do you get to reflect in such a systematic way on what you’ve experienced? The closest thing I’ve probably had over the years is a performance review at my job which doesn’t even compare. This last year has been life changing in so many ways. In the process of writing a book I’d like to untangle the ways and understand them completely. You are currently browsing the 52 writing category at 52 To Do.